As the modernization of Union Station continues, Metro is looking for a “local chef” willing to invest in a new restaurant in L.A.’s largest transit hub. This staff report presented at last Thursday’s Metro Board meeting has the details. We are currently negotiating with a local chef to open a new restaurant in the space formerly occupied by Union Bagel. Over the proposed 15-year term (10 years, plus one 5-year option), this lease is anticipated to generate $1.2 million in rent based on the current market rate per square foot, and up to an additional $1.0 million based on potential sales volume, which exceeds the current CEO’s authority of $500,000. The potential tenant is expected to invest between $300,000 and $400,000 in tenant improvements. Negotiations are expected to be concluded within the next 3-4 weeks with occupancy anticipated within nine months. 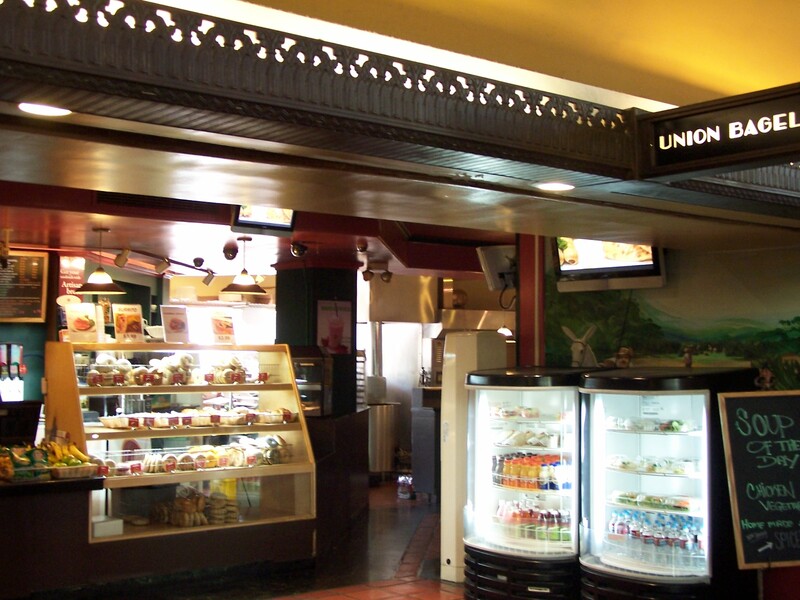 I miss Union Bagel. Best bagel in LA. I hope the new restaurant is accessible to the transit/train-riding public. It would be a shame if most of the diners drove to the restaurant.